Another divorce file has been issued. This time the complainer is Heidi Klum. She just wants freedom from Seal. According to TMZ Report, Heidi files for divorce for Seal and TMZ have the legal document also. She filed this divorce paper in L.A. County Superior Court. Heidi and Seal have 4 children that’s why her request for joint legal custody of their children. Again if it will primary custody then Seal getting the chance to visit with his children. This is not all. Heidi Klum also applied to judge to restore her maiden name Klum. Although she previously used this name professionally. Heidi is asking the judge on that divorce file to reject any kinds of claim for support. And this will be applied to herself also. Heidi’s divorce file has completed by her lawyer. She also asked the judge to give an order onto Seal so that he paid her lawyer’s fees also. 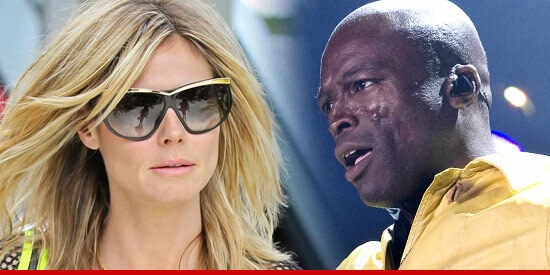 Although it was clearly not confirmed why Heidi Klum files divorce against Seal. Keep with us, when we learn you will be also notice.